Principal Cast : Anthony Gonzalez, Gael Garcia Bernal, Benjamin Bratt, Alanna Ubach, Renee Victor, Ana Ofelia Murguia, Edward James Olmos, Alfonso Arau, Selene Luna, Dyana Ortelli, Herbert Siguenza, Jamie Camil, Sofia Espinosa. Synopsis: Aspiring musician Miguel, confronted with his family’s ancestral ban on music, enters the Land of the Dead to find his great-great-grandfather, a legendary singer. 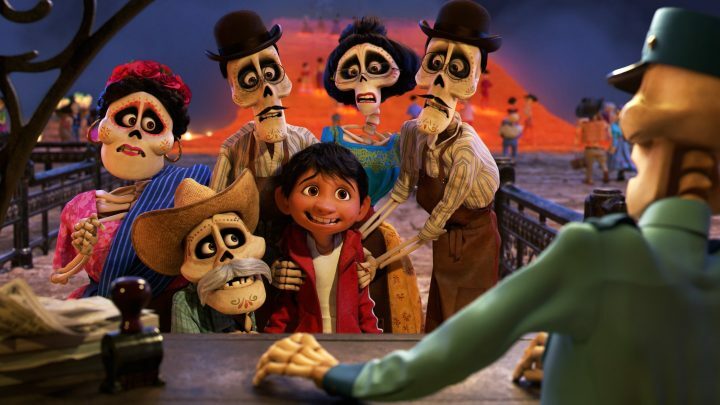 This deftly animated venture from Pixar draws cheers and tears as one young boy’s journey into the Land of The Dead – Mexican culture’s afterlife – to discover his family’s fate lies not in the land of the living. 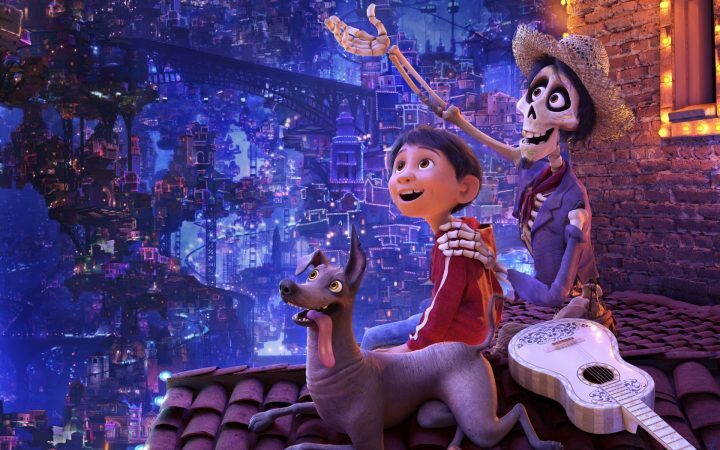 Gorgeously cinematic, powerfully written (by co-director Adrian Molina) and boasting dynamite moments of incredible pathos and exhilarating fun, Coco continues Pixar’s current trend of tipping from purely childlike wonder into a darker, vastly more dynamic adult-themed ideas, and succeeds in every measure. Santa Cecilia, Mexico: a young boy named Miguel Rivera (Anthony Gonzalez) lives with his shoe-making family and secretly dreams of being a singer like his idol, the enormously popular entertainment icon Ernesto de la Cruz (Benjamin Bratt), who grew his fame during his life as a singer and star of popular cinema. 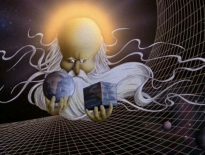 However, his family have disavowed music, forbidding it to be played, sung of featured anywhere near the home, due largely to Miguel’s great-great grandmother Mama Imelda (Alanna Albach) having her heart broken by de la Cruz generations ago. Imelda’s daughter, the now elderly Mama Sicorro, has nearly lost her marbles due to age, and is the last remaining link to the Rivera family legacy. After discovering the possibility he could be related to Ernesto de la Cruz, Miguel runs away from his family and is drawn into the Land of The Dead, where he attempts to meet his idol and obtain his blessing to play the guitar and become a musician. However, things don’t work out for Miguel when he meets afterlife huckster Hector (Gael Garcia Bernal), who takes him on a strange journey into the Land of The Remembered where his understanding of history will be challenged. Lee Unkrich is one of Pixar’s grand old men. Having been with the studio since Toy Story (where he served as editor), and on through directing both sequels, as well as Monsters Inc and Finding Nemo, Unkrich has seen the company transition from little-known computer graphics wizards associated with Apple founder Steve Jobs into a legitimate Hollywood animation powerhouse, thanks primarily to their unwavering focus on story and character over showy theatricality. Since 2015, there has been a noticeable shift for Pixar’s creative drive, with every film since 2015’s Inside Out centering around family, either the reunion of (The Good Dinosaur, Finding Dory) or finding a place within (Cars 3) and Coco delivers yet another thematically rich, culturally diverse voyage into their own unique brand of storytelling. Miguel’s relationship with his family is predicated largely on his love of music, and his family’s disavowing of the genre, whereby he goes on a quest to discover his own identity through this lovely conceit. 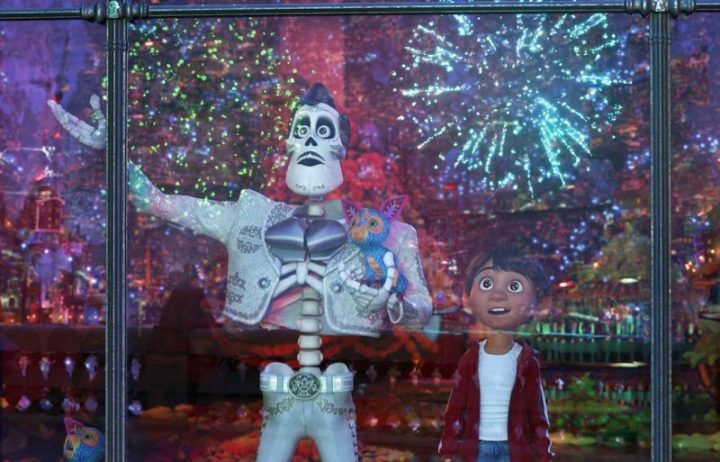 Many will point out the visual similarities between Coco and 2014’s The Book Of Life (produced by Guillermo del Toro), but where the earlier film is a bedazzlement of colour and highly accented character design, Coco feels far more grounded in reality, if one can say that about a film where a kid visits the afterlife and has adventures. 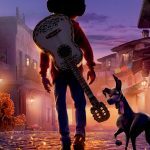 There’s an earthiness and depth to Coco that Book Of Life never even approached; The Book Of Life is fast food to Coco’s cordon bleu menu, and blessed by Pixar’s blue-ribbon attention to story and character, the mixture of dramatic weight and sense of fun is almost a perfect concoction. I admit to a deficit of understanding with Mexican culture – we don’t get a lot of Mexican stuff here in Australia aside from random chain restaurants – aside from what I’ve gleaned through exposure to Hollywood cinema, and I’m sure there’s a lot of easter-egg drops in Coco that I missed, but the film’s themes of acceptance, of rejecting convention, of trying to square-peg fit into a family of circles are universal. The crafting of the relationship between Miguel and his grandmother (Renee Victor) is crucial to the opening act’s sense of frustration in which Miguel rebels and flees in a fit of anger, whereas the story’s crux comes when the boy finally meets his late idol, Bratt’s silky-voiced Land Of The Dead superstar Ernesto de la Cruz, a character with eerie similarities to Pedro Infante or Jorge Negrete, two immensely popular (and deceased) Mexican entertainers. It’s here that the story’s reasonably obvious twist occurs – yeah, I spotted it, but don’t let that spoil this film for you – and the antagonist of the piece turns out to be exactly who you think it might be, but between these effortlessly engaging characters and well designed world Coco’s tear-jerking moments are legitimately thunderous. And they do thunder into place with the complexity of nuance and resonance that affects both kids and adults alike. 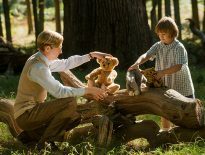 By the end of the film, my young son was sobbing loudly in the cinema, while I also shed a tear at one of the film’s most heartbreaking and heartwarming moments. 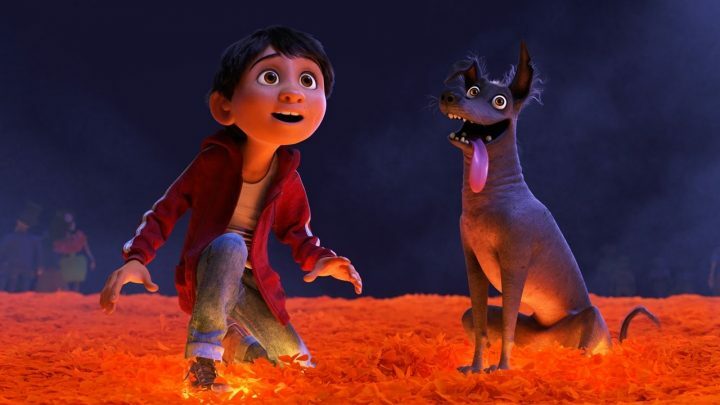 As Pixar always does (and does better than anyone else), Coco avoids overt sentimentality or cloying, forced obviousness, and it deals with the themes presented without pandering to its younger audience by dumbing it down – kids of all ages will find some measure of reflection in Miguel’s journey, and attach to him as he confronts his parents with their beliefs; conversely adults will invest in the journey and its sense of generational disenfranchisement, something we’ve all felt at some point through our growth into functioning people in society. With a blue-ribbon story to tell, Unkrich and the Pixar folks assembled a voice cast of actual Mexican and Spanish talent to deliver the requisite nuance to the dialogue. Anthony Gonzalez is brilliant as Miguel, holding the film entirely on his young shoulders, able to inflect hurt and fear and delight and nervousness with a panache and verbal dexterity even accomplished actors struggle with. Gael Garcia Bernal (The Motorcycle Diaries, Babel) injects terrific hurt and lament in his poorly Hector, a down-on-his-luck musician who resents the success Ernesto has achieved, while Benjamin Bratt’s performance of the famous crooner is silky smooth and teeters as close to stylised farce here and there. Grounding Miguel’s journey in both our world and the world of the dead, the cast playing his family all deliver the goods – particularly Alanna Ubach and Renee Victor as the strong-willed women in the boy’s life – and although I occasionally struggled with accents and Mexican words here and there, there was a flavourful truth to both the words and their performance and that strengthened Coco’s overall impact. Of course, you can’t adequately review a Pixar film without mentioning the animation, and as the gold standard for this kind of thing in Hollywood one expects perfection every time you buy a ticket for one of their films. Coco absolutely delivers. Textures, colours, framing (the film makes sublime use of its 2.35 scope ratio, and proves my long-held opinion that animation gives filmmakers a great opportunity to use the film frame with absolute precision of storytelling) and sound design, not to mention Michael Giacchino’s potent orchestral score, are astonishingly good, and at times you think you can almost reach out and actually touch the people inhabiting this world. It’s testament to Unkrich’s skill as a director that he can juggle so many balls – many directors are great at character or story or the technicalities of cinema, with few legitimately great at them all at once – but the film’s technical aspects are as good as the studio has ever delivered. 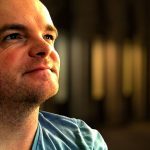 Looking back at Toy Story, one can see how far computer animation has come and what it’s capable of, and it’s just amazing. Coco is a sparkling delight of a film, a representation of Mexican culture that is sorely needed in contemporary America, and will demand much of its audience both young and old. Thematically, Coco is challenging for youngsters who think their parents don’t know nothin’, while for adults they’ll savour the complexity of character and emotional weight of generational change presented. The animation is superb, the screenplay is a finely tuned balance between drama and child-friendly exuberance and fun, and in all technical aspects the film rises above its brethren and then some. If you’re note crying by the end, you’re an emotionless block of ice. Sounds wonderful. I’m looking forward to watching this one with my daughter. She’s discovered Frozen and currently that’s on a loop in our house. I liked the film the first time, the second time and the third but the 27th time in a week is pushing it. Just be aware of this film’s suitability with younger eyes, mate. As I mentioned, the themes present are darker than the majority of Pixar’s more “family friendly” stuff and Frozen, while dealing with some elements of adult life, is still remarkably “fun” compared to Coco’s more melancholy overtures. It’s more at the Kubo & The Two Strings or Inside Out end of the scale, so consider that before taking the young one to see it. Otherwise, it’s a really, really good film.